Thank you for this informative web site. My husband and I are cruising to Bermuda in May. 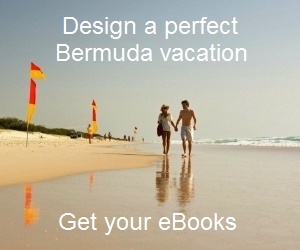 I have read great reviews on Jessie James and Snorkel Bermuda. Which one would you suggest? I like Jessie James because of the glass bottom boat. However, they only offer afternoon tours and we want to spend time at Harbour Nights. Snorkel Bermuda offers more times tours however the tour isn't as long. Any help would be greatly appreciated. Hi, Both the snorkel cruises are good. Sonny Sullivan, the captain of Snorkel Bermuda was the first employee of Jessie James where he honed his skills as a snorkel tour operator. He later switched to other operators and then finally owned a boat himself to operate his own snorkel boat tour. Again Jessie James in no longer with Jimmy who was the original captain of the boat and operated the tour along with his wife. The husband-wife combination was fantastic. Jimmy retired and sold off the boat to Chloe Mckey who continues to operate the same trips. The tour continues to be good though. In Jessie James you will get three-in-one snorkeling experience covering three different places that includes beach area, two shipwrecks and sea garden with fish & corals. Their snorkel time is nearly 120 minutes compared to little over 60 minutes of Snorkel Bermuda. (Update Jan 2013: Jessie James has cut short the snorkeling hours and also number of sites. They now cover 2 sites instead of three). Snorkel Bermuda is essentially about shipwreck snorkeling and they take you to the same water area as Jessie James (Western Blue Cut in the western end) but focus mostly on wreck snorkeling. However, they operate three tours (9am, 12noon and 3pm). Jessie James offers morning and afternoon tours during June-August, but only afternoon tours in the other months. Note that you can go for the Harbor Night in Hamilton after completing the afternoon tour of Jessie James. Harbor Night starts at 7pm and only on Wednesdays, and continues until late evening. Hopefully you can choose the operator based on the above information. Check out Bermuda Snorkeling to know about all the snorkeling secrets of Bermuda.